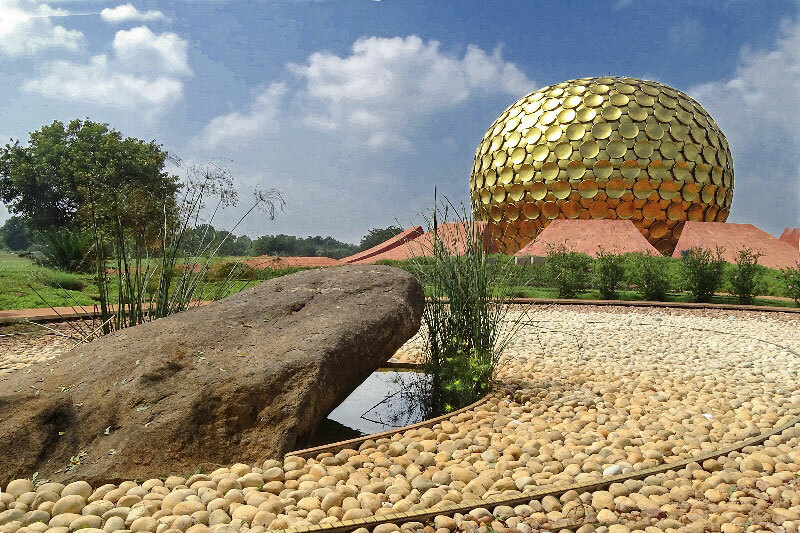 At the very centre of Auroville stands the Matrimandir, a magnificent golden sphere which seems to be emerging out of the earth. 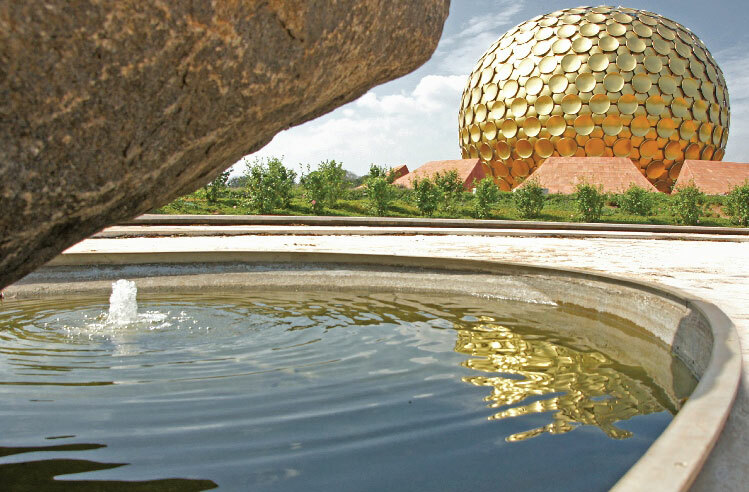 Its elegant and exquisite architectural form symbolises the birth of a new consciousness. 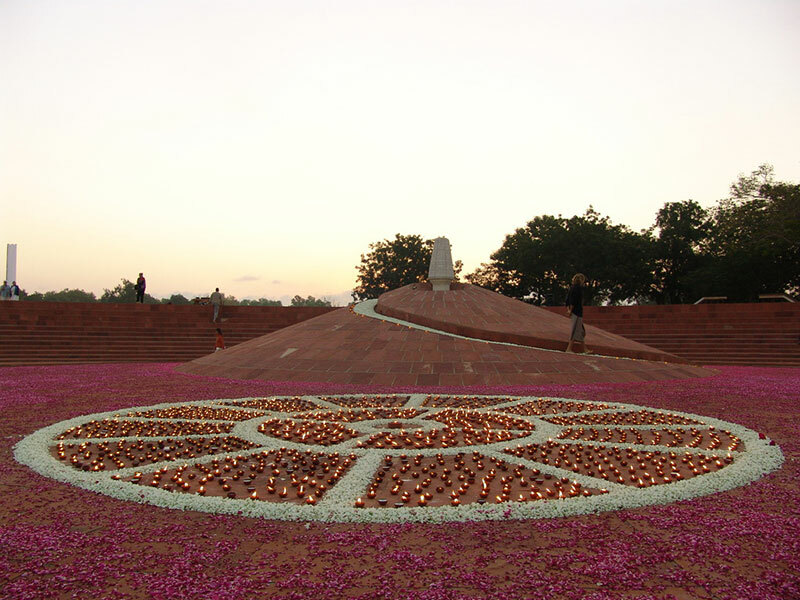 The Mother, who saw inner chamber of the Matrimandir in a vision, regarded it as “the central Force of Auroville, the cohesive Force of Auroville” and the “symbol of the Divine’s answer to man’s aspiration for perfection”. 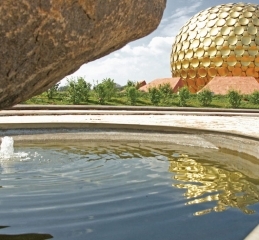 The Sanskrit word “Matrimandir’ means literally “Temple of the Mother”. 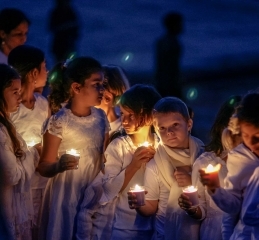 The word “Mother” in this phrase refers to evolutionary, conscious and intelligent principle of Life which leads the human journey from its present limitations into the next stage of its evolutionary adventure, the supramental consciousness. 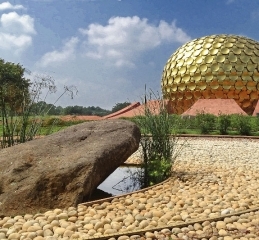 The building of Matrimandir is complete. 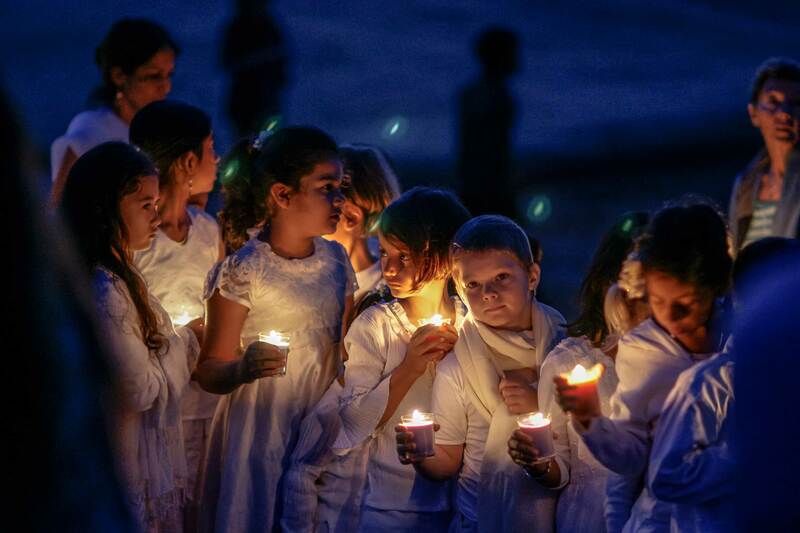 It is the fruit of the dedicated work and aspiration of numerous hands and hearts for nearly 4 decades. The spacious inner chamber that this huge structure houses is a haven of white silence, with deep, white carpeting, and ascending pathways. 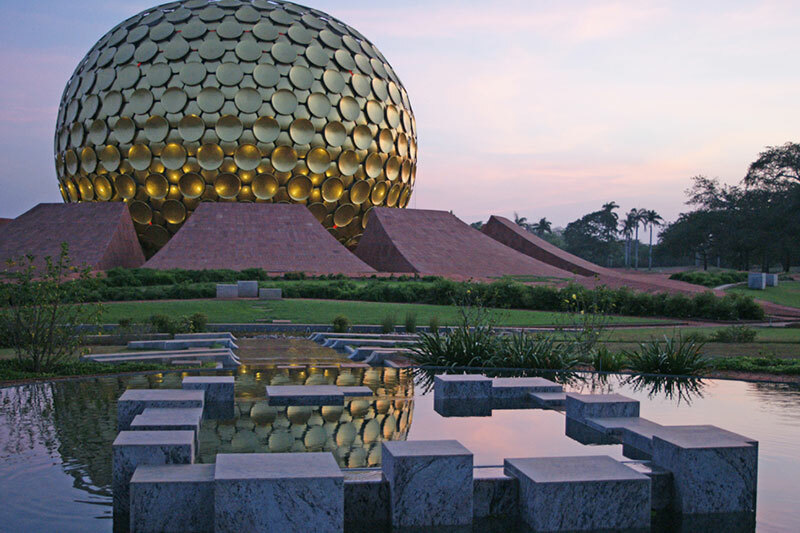 In the centre sits a pure crystal-glass globe which suffuses a ray of electronically guided sunlight that falls on it through an opening at the apex of the sphere. This luminescent globe radiates natural lighting in the Inner Chamber. 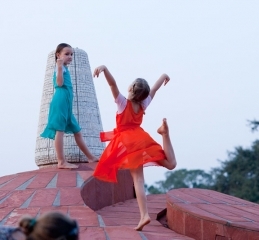 The work for the Matrimandir Gardens is in progress. 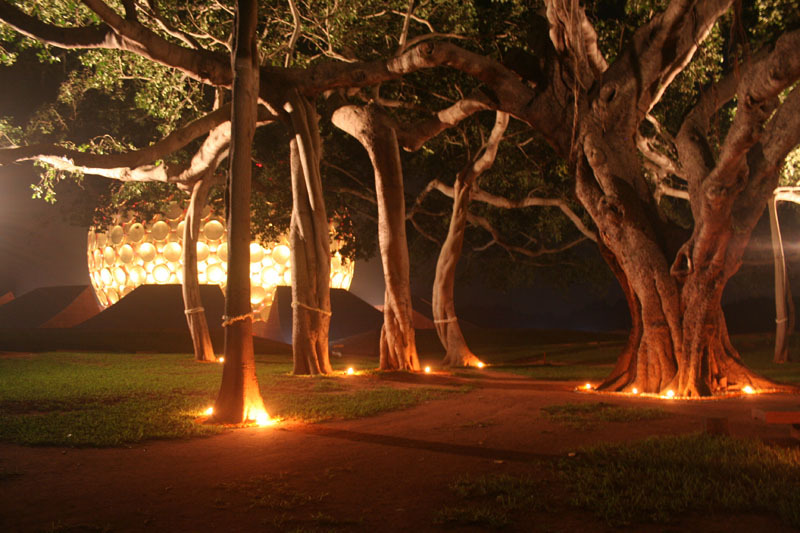 These gardens are regarded as important as the building itself in the sense that each garden is meant to manifest a specific quality of consciousness. 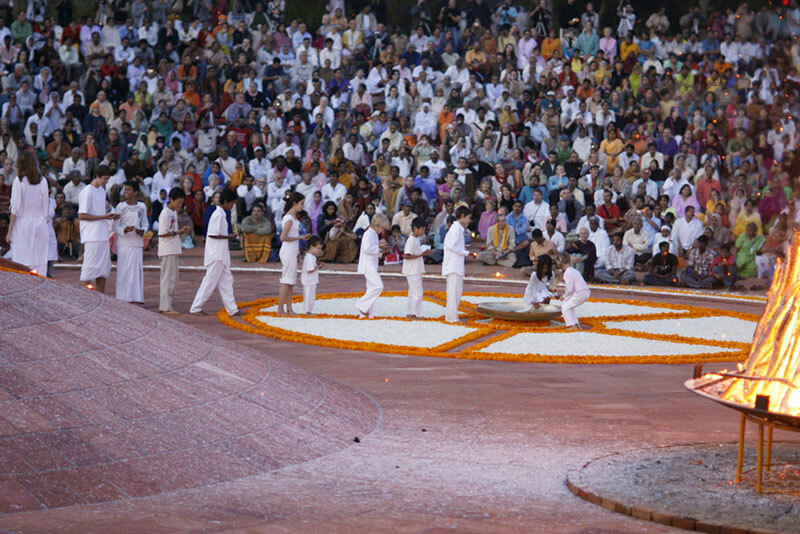 The gardens are divided into 12 individually named parks, representing and reflecting the 12 powers of the Divine Mother. 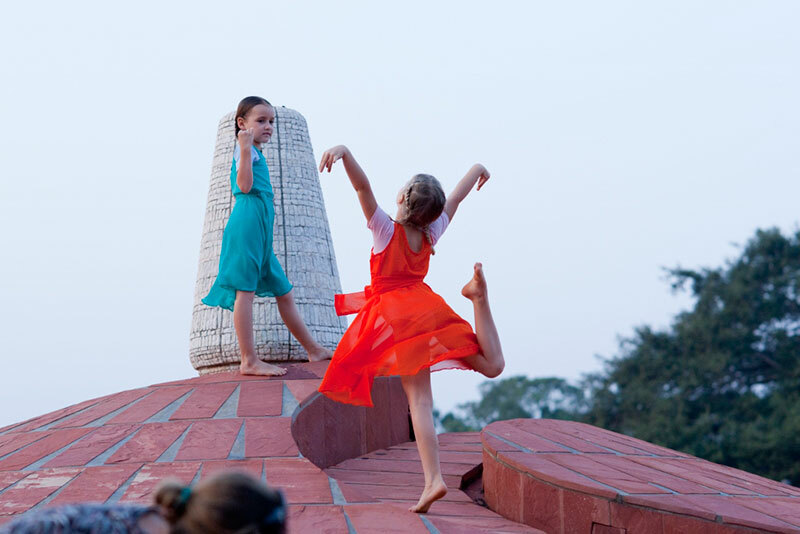 Each garden has its own variety of flowers, shrubs, trees, and ponds. 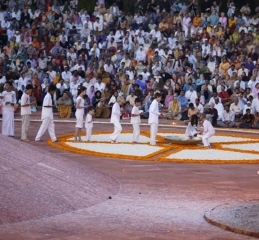 At the moment, in June 2015, the gardens of “Existence”, “Consciousness”, “Bliss” have been completed. 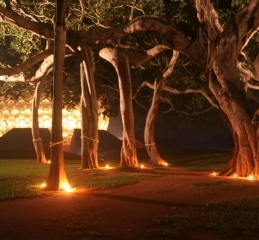 Within the Gardens, are the Banyan Tree and the Urn. The totality is called the Peace Area. The remaining 9 gardens are being planned and accomplished, one after the other. Soon to come will be the gardens of “Harmony” and “Perfection”. After the gardens will be a large lake followed by tall trees on the peripheral. Approximately 10% of the land envisioned for the Peace Area is still unsecured, putting these missing plots at risk of adverse developments. 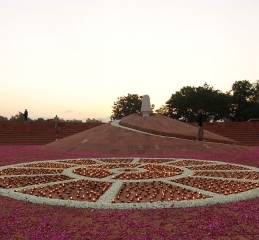 Hence, this has been given first priority in the ‘Acres for Auroville’ land campaign (A4A) – a joint action of Auroville International and Lands for Auroville Unified-LFAU which was launched on August 15th, 2014 – the date of Sri Aurobindo’s birthday.